The idea small family businesses are a dying breed is not the case at R.J. Balson and Son, which has stood the test of time for more than 500 years. Emily Ashworth finds out how they have stood the test of time. 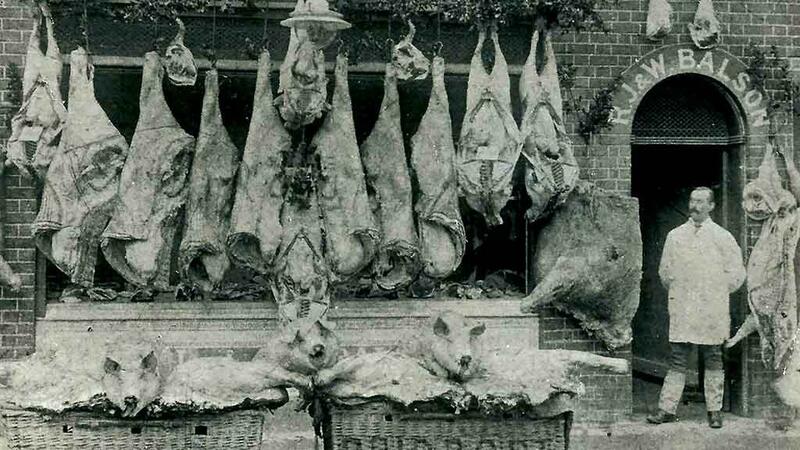 26 generations of butchers in one shop - how do you stay in business for 503 years? In the small town of Bridport, Dorset, stands a time capsule of family history. 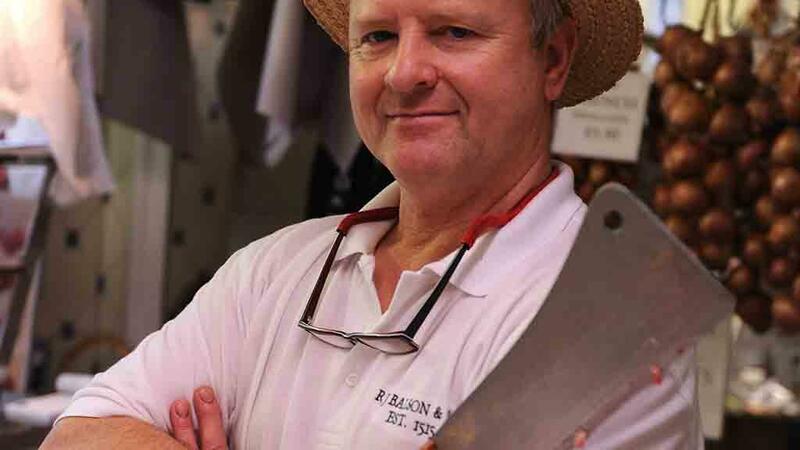 R.J. Balson and Son butchers has been in business since 1515 and now lies in the hands of Richard Balson, the 26th generation to take the reins of this long-standing successful shop which, over its 503 years of trading, has seen much change. It has grown from its humble beginnings, originally trading on a market stall in the Bridport ‘Shambles’, an ancient term for the shelf on which meat was slaughtered and then sold. “We’ve survived recessions, plagues, wars, floods, fires – everything,” says Richard Balson, 61. And it is no doubt through enthusiasm and passion for their heritage and story that Richard continues to see the business flourish. After starting to work in the shop at 17, Richard took over fully in 2011 when his father, Donald, passed away, having worked side-by-side with him since he was just a young boy. His father dedicated 73 years to his shop, which was only interrupted by a stint in the navy, serving his country during the 1940s. They managed to stand their ground and maintain regular custom, even against the wrath of low supermarket prices, and believe their shop is a source of social interaction. It is the dedicated service which brings people through his doors. Butcher numbers tumbled from 15,000 in the early 1990s to about 6,000 in the mid-2000’s, a drop of 60 per cent, according to the Meat Trades Journal. This figure has slowly stabilised over recent years though and Richard’s stoic outlook on how to preserve their legacy is really quite simple. He says: “When you go to the supermarket you can walk around like a robot, but come to my counter and you’ll get 100 per cent attention from me and the staff. Richard is profoundly proud of his family’s timeline and, for the shop’s 500th birthday, he wrote a book, ‘500 years behind the block’, in honour of the milestone. It tells of tales gone by, about the customers and of the history surrounding the business through different eras. He also talks to various Women’s Institute groups about the butchers too, reveling in his family’s antiquity and enjoying being part of the wider community. Having appeared on countless prime-time TV shows, such as Escape to the Country, The One Show and Taste of Britain, their legacy is well-known and attracts holiday-makers from all over the world. “People on holiday will pop in because they’ve seen us on these programmers and they’ll come for a chat; not always to buy meat,” says Richard. Yet although a renowned attraction to those away from Bridport, you can sense how important the locals are to Richard and, as the decades have rolled on, so have the regular faces who enter R.J. Balson and Son. “We’ve served generations of families,” says Richard. “Over time, you even become friends with the regulars and we’re on a first-name basis with many. And it’s not just the customers who are local either. The produce served up in the shop is 90 per cent traceable, sourced from the surrounding farmers, and the family has used the same slaughterhouse, Snells of Tatworth, for the last 60 years. In the shop there is also a board to state which farm the different meats are from, promoting provenance and low food-mile distribution. But times are changing and the way people shop, eat and source has shifted tremendously, even in just Richard’s lifetime. “People are so busy these days,” says Richard. “Years ago, everybody wanted bigger joints to cook with but now they don’t have time, so we do much smaller cuts. They want things they can make in 20 minutes. The family has won an accolade of awards and still has two products, their English pork sausages and faggots, which are made from secret family recipes, hailing from the Tudor times. But although true to their traditional roots, Richard understands the progressing and continually changing dynamic of buying meat, choosing to display more exotic treats on the counter, such as ostrich, elk and kangaroo, for example. To make it through such turbulent periods of history is a great feat and as smaller businesses struggle to succeed, it is interesting to witness this family unit go from strength to strength. Richard says: “It’s a question I get asked a lot, but the key is keeping it small. “We only have one shop and our staff are almost always in the family. But who is next to carry this legendary shop in to the future? Succession is key in any close-knit business unit and is something which has effectively propelled R.J. Balson and Son through its outstanding lifetime. Richard however is keen to keep on serving into the foreseeable future. “I’m not sure it will be my son, as he’s up in Manchester, but he has two sons and it might skip a generation, which I’m fine with,” says Richard. “We’re up to 26 generations now and of course we want to carry that on, but we’ll deal with it at the time.